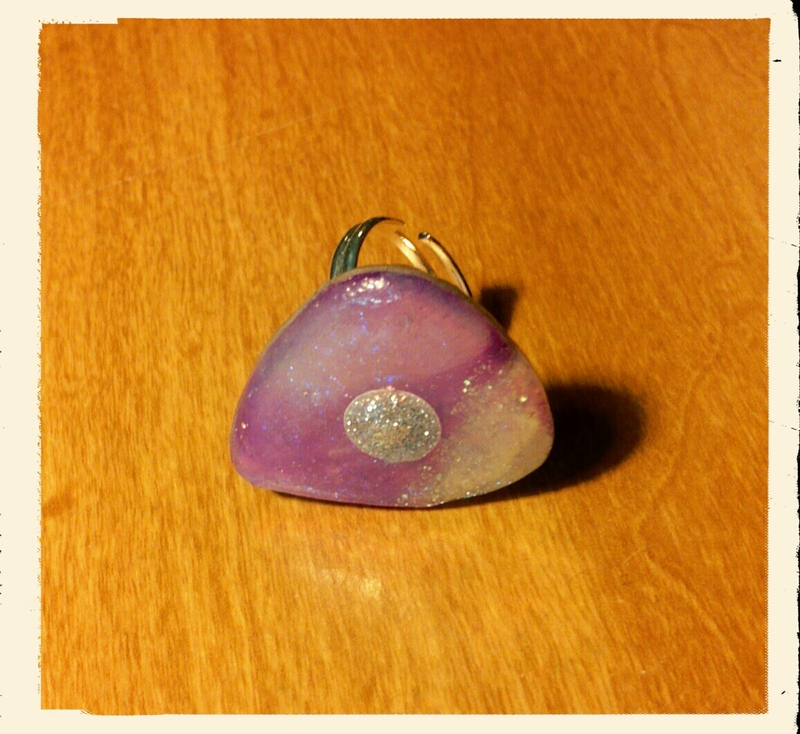 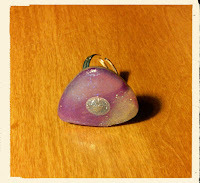 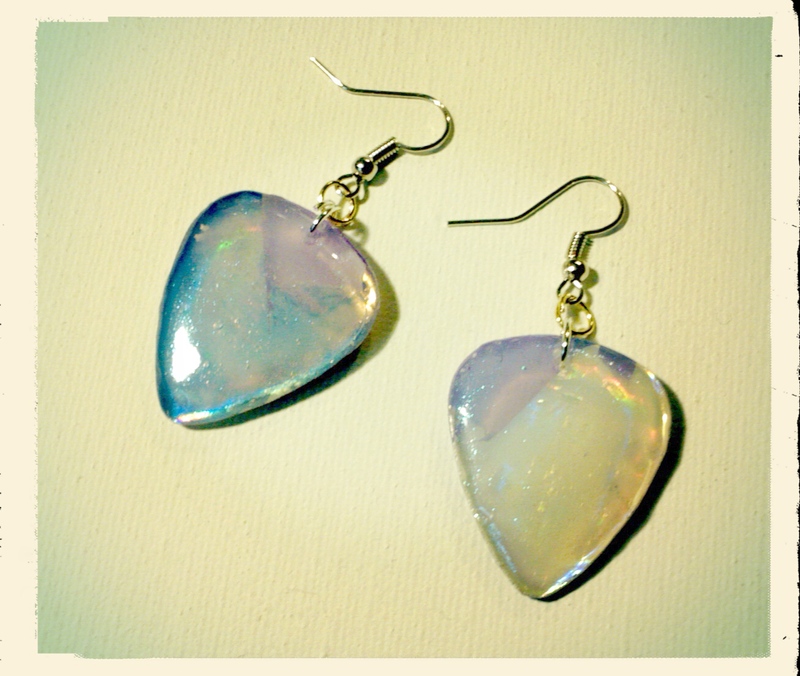 Just finished: Guitar pick jewelry made from DVD material! 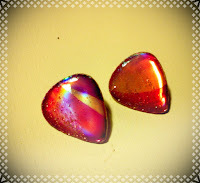 Glittery guitar pick ring made from a DVD! 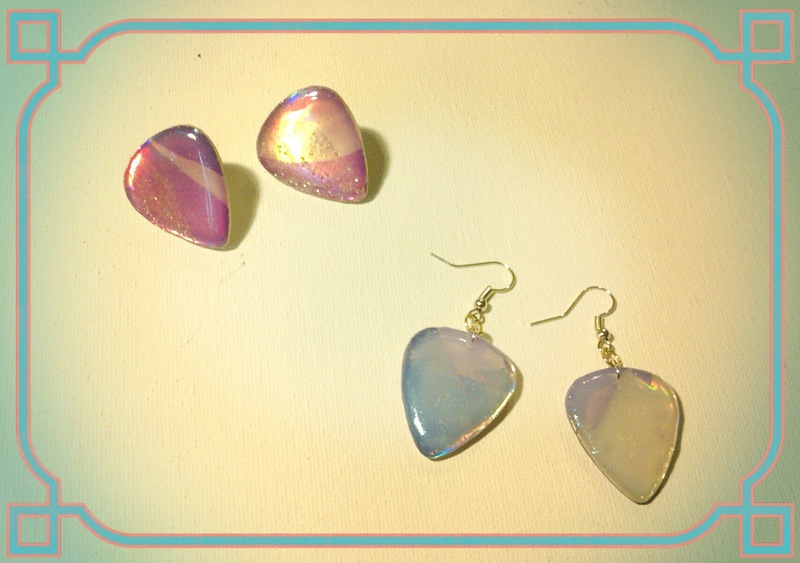 Iridescent Pink. 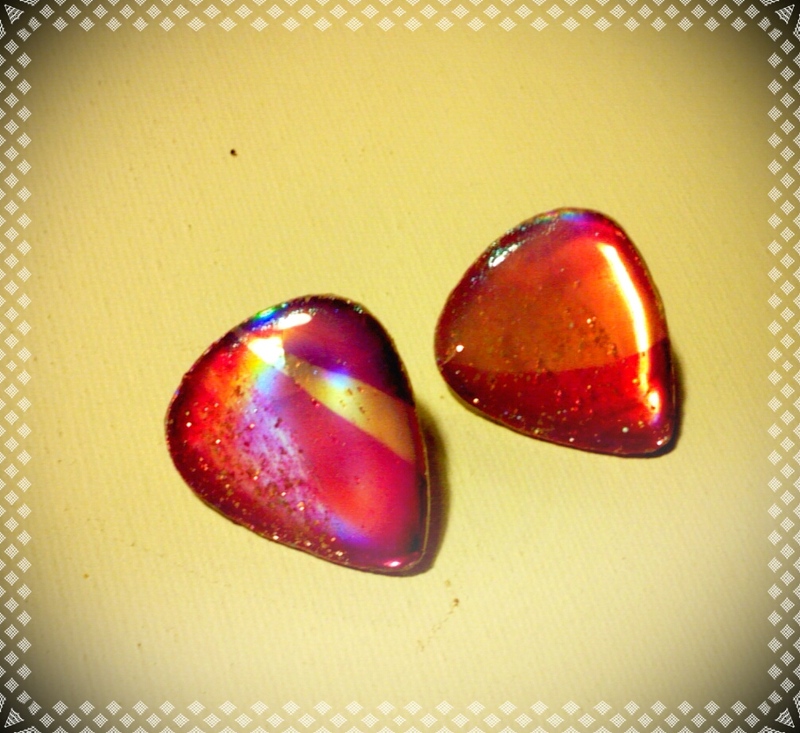 Iridescent DVD guitar pick stud earrings. 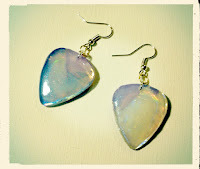 Fish hook style DVD material guitar pick earrings.